I've never drunk a cup of coffee so not something I could ever save! I've read that they are good though. Peppermint spray for mice. How did you cut all the holes? I burnt the holes in with a blow torch, that way the fabric doesn't fray and lasts much longer. Does the spray really work for the mice? Yea rub it in, we have six foot of snow on the ground outside... no planting til late May around here. This might prove to be a little early, but no sign of snow here this year other than a light dusting (still time yet though). I've had enough of a break from gardening, I'm ready to go again now! I'll be starting some things inside in about two weeks. 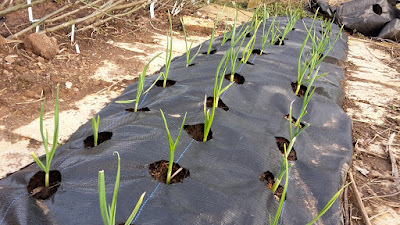 Garlic is up outside and looking good. It is interesting to see when other people can get started. Yeah, I'm always looking out for it, that and my neighbours. They've lived here so long I'd be daft not to follow there lead. They both said their beans were up so I thought I'll follow suite! Garlic is up here about two months early. I'll be starting seeds soon - can't wait! 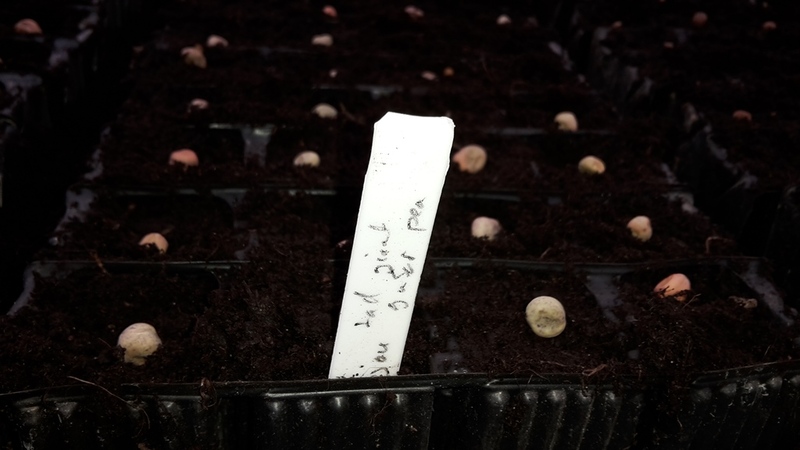 Peas and beans are direct sown here. I might as well put hem straight in the mouses mouths if I direct sow around here! You've been busy! The weather here has been so mild I've been tempted to try a few warm weather plantings but I know better. Hard not to want to get one's hands in the ground this time of year. Sometimes it's worth the risk to get that early crop. I'm still holding off on most stuff, only the ones that can tolerate some frost are getting planted. 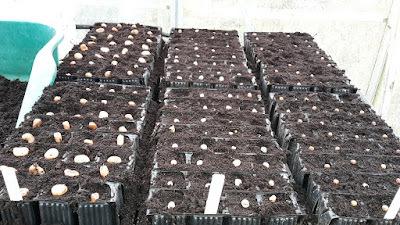 I shan't even think about sowing before April. I'm surprised because I thought you were so much warmer where you are! I can't wait to start my tomatoes and peppers but the girls will never forgive me if I plant them without them! They love telling people that they planted the seeds. 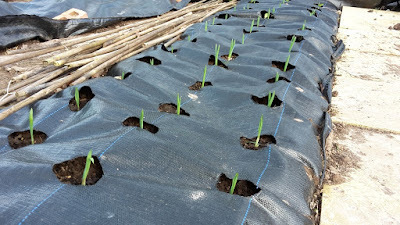 I have garlic and onions going well since planted last year, cherry toms have started to look good, climbing peas are in the Poly House as are the early cabbage Golden Acre sprouting well. 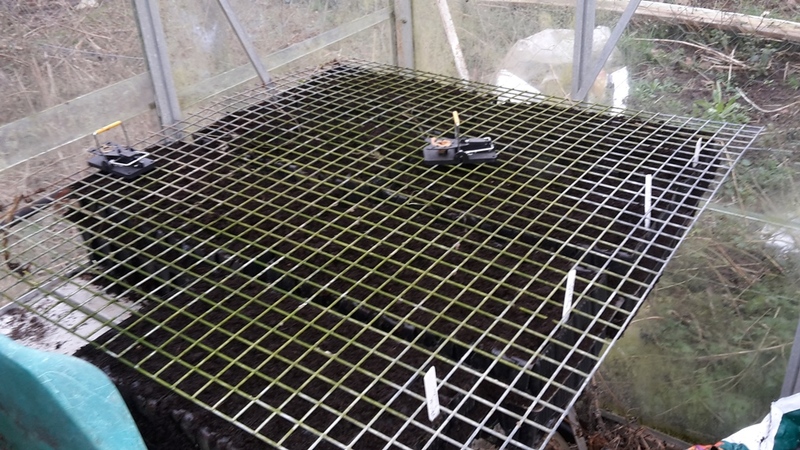 I am being a little cagey but most I have started are doing ok. good luck with the mice. 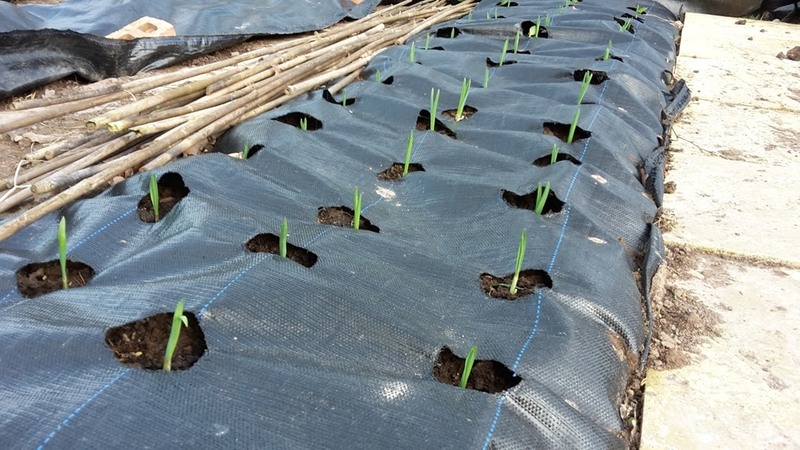 A poly tunnel would be ideal here, I've made some mini ones this year so I'll have to see how I get on with those. This are both climbing peas and I'm rubbish at getting sticks in early enough - I must be better this year! 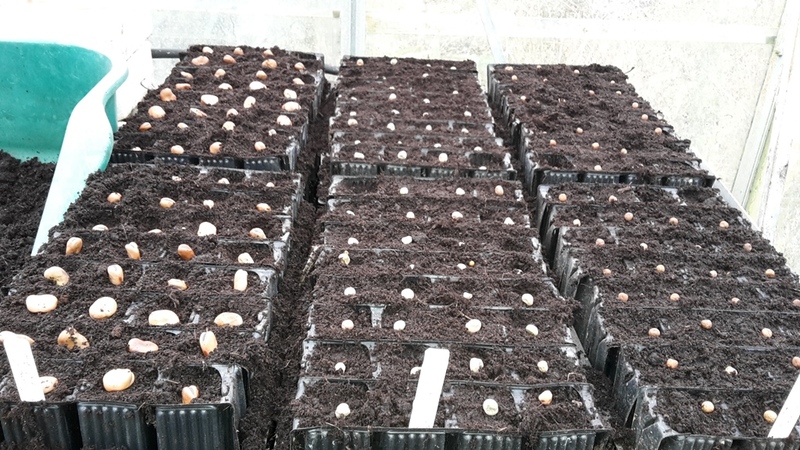 I should also sow soem cabbage and maybe kohl rabi! The gardeners of old use to soak their seeds in Paraffin so the mice didn't like the taste of the seeds. 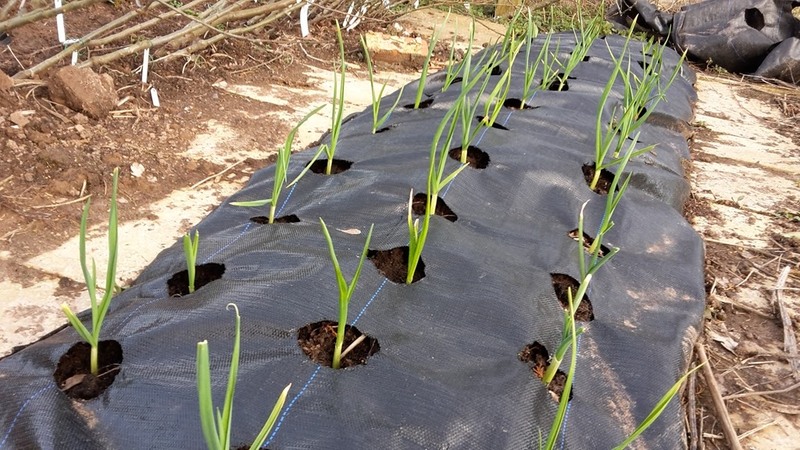 I am going to plant some red onions sets in the tunnel today. I am hoping they will like the hotter climate than outside in the wet ground. I've never fancied that one, I always thought it can't do the seed much good. Hopefully my netting and traps will work with these. I've not bought any onion sets yet and every year I say I'm going to grow onions from seed but never do! Everything's looking great! I too had to order more Jerusalem artichoke, as the ones I planted in the autumn did't seem to have made it. Hopefully the next batch does better! Ah , i think I meant Globe artichokes for the seeds. That said the mice have eaten all my Jerusalem ones so I need to get some more tubers from a friend and create a few new beds with them in. One year I lost mine just because it was so wet where I put them.